I’m thankful for YOU! If you’re here, reading this blog, I want you to know that I sincerely appreciate it. I’m not really doing this for the 80 cents a day I usually make from Google Ads. 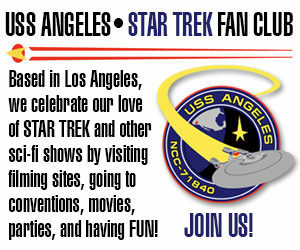 I’m doing it because I love Star Trek and fan films, and I want to share that love. I’m thankful because YOU’RE taking the time to read what I take the time to write. Here in America, once a year on the third Thursday in November, we take a moment to stop and feel the gratitude for what we have. I kinda wish we did that more often, as I think many of us take a lot of the blessings in our life for granted way too much of the time. But at least for this one day, we can reflect on what and who mean the most to us and, if we’re lucky, share that appreciation with them. Star Trek: Discovery – yeah, I don’t always see eye-to-eye with what the show-runners have decided to do, but at least they’re doing it. The alternative to that isn’t some kind of BETTER Star Trek on television, it’s NO Star Trek on television. But CBS saw fit to spend $120 million on a new TV show, and even though they are charging fans to see it and not always getting everything the way all the fans would want it, Star Trek is not sinply being abandoned by its owners and left to slowly fade away. Fan films live on – seventeen months ago, we feared that Trek fan films were doomed because of those guidelines from CBS and Paramount. That hasn’t happened. Sure, we lost some of the biggest fish, but Star Trek Continues gave us four more spectacular episodes before they shut down, Renegades is still out there, Axanar is still to come, and so are other long-awaited productions like Pacific 201 and First Frontier. And of course, many fan producers like Potemkin Pictures, Intrepid, Antyllus, Vance Major, and others are still sharing their stories with us fans. There are good people in this community – Sure, the detractors are gonna detract, tract, tract, tract, tract. But their echos are fading. Their blog sites and Facebook groups have, at most, a few hundred of the same members posting the same old nastiness. Meanwhile, the rest of us are here on Fan Film Factor and Fan Film Forum and elsewhere, and with a few rare exceptions, we’re being NICE to each other and rooting for fan films…all fan films. And that, my friends, is what I have to be thankful for today. And I’m so glad that YOU’RE here to share it all with me. HAPPY THANKSGIVING! Shat! Did I really just type HARRY THANKSGIVING??? Those letters aren’t even remotely close on the keyboard! Thanks for the catch, Ken. I know—that was my first thought……then I looked at the keyboard. What is lurking in the back of your mind! Buhahaha. Thank you, Jonathan, for taking the time to write this blog for all of us! While I’m not into all of the fan films, I still enjoy reading about what’s out there (and I really like your writing style). So keep it up, please! While I can’t completely argue the point, Olaf, that’s also a rule violation: no name-calling…no matter how I might feel about someone personally. So official warning–the next time you call someone an insulting or derogatory name, your comment will be trashed. Sorry, but the rules have to apply to everyone. Oh shat! Haha, no, of course you’re absolutely right, Jonathan. Won’t happen again… And congrats on winning that fan film award. Were you here in Berlin for it or did it all happen online? I couldn’t afford the transatlantic trip–either financially or time-wise (gotta 7-year-old to take to school each day!). However, I did hear from “Chance Encounter” show-runner Gary O’Brien who was there at the festival (he lives in the U.K.), and he said the showings of the fan films (which he attended) filled every available seat in the theater with a really great, enthusiastic crowd. He was even asked to do a little Q&A after his fan film screened. Ah, Germany and beer…or schnapps! What could be finer? Previous Previous post: SPACE COMMAND Kickstarter nears $65,000 – releases NEW TRAILER!